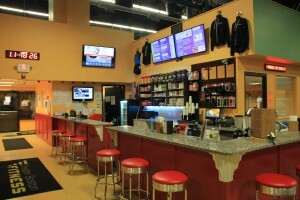 Greater Boston Fitness 22,000 Sq. Ft of Fitness – Something for Everyone! A convenient location for local residents as well as commuters. Being a family run business with over 35 combined years in athletics and physical fitness, the ownership and staff understand the environment and resources needed to create a great training atmosphere. With a well-balanced blend of “old-school” and modern, this space is designed to yield the maximum effort and growth for an individual. Whether you are looking to add muscle or you are looking to dance and sweat in a Zumba class, we have everything you need under one roof!